The Rolex Art of Gem-Setting: Whether for diamonds, sapphires, rubies or emeralds, Rolex masters the art of gem-setting. 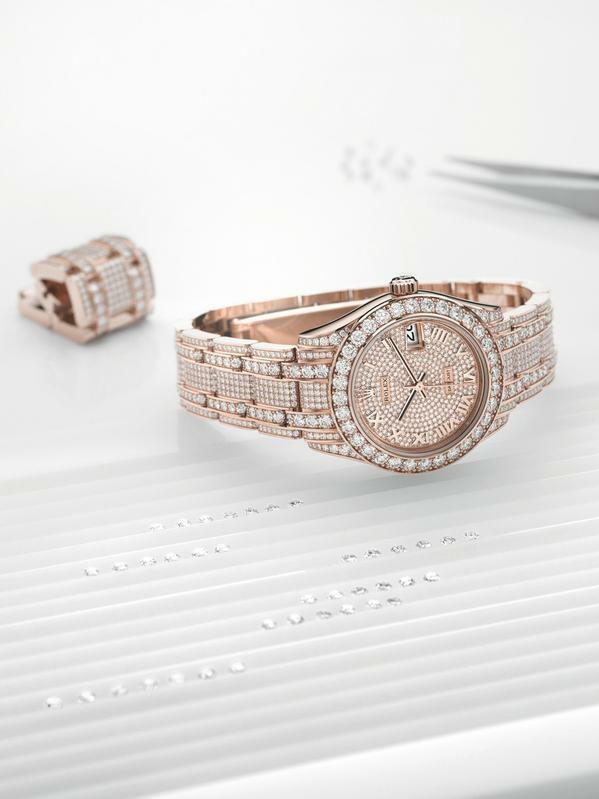 To adorn its timepieces with the most striking gemstones, the brand has its own in-house gemmologists and gem-setters. Gemmologists are responsible for examining and selecting the gemstones received, retaining only those that meet Rolex’s extremely stringent quality criteria. The stones then pass into the hands of the gem-setters, who are tasked with placing and fixing each stone to best reveal its beauty, colour and sparkle.<br /> Rolex has offered gem-set watches throughout its history. In embellishing its watches with precious stones, the brand endows them with an alternative aesthetic, whilst conserving their identity and all their technical features, such as reliability, robustness, and resistance to magnetic fields and to shocks. Rolex uses only the highest quality natural stones. Upon their arrival at the ateliers, all gemstones – both diamonds and coloured stones – undergo rigorous verification procedures. To guarantee the quality of the stones, gemmologists have a range of analysis tools at their disposal, in addition to their own expertise. These tools, some of which are specially developed for Rolex, can provide information on the stones’ chemical composition. Diamonds, for example, are systematically tested via X-ray imaging to confirm their authenticity. The diamond-set bezel of the Oyster Perpetual Pearlmaster 39 in 18 ct white gold. The way in which the gemstones are cut – the symmetry and shape of the facets – determines the way in which light penetrates the stones and is reflected off the pavilion, or lower part of the diamond. The cut therefore directly influences a stone’s brilliance. In the case of diamonds, a wellcut stone accentuates the intensity and number of reflections, even creating rainbow hues. The facets of each of the stones – the result of the diamond cutter’s painstaking work – are analysed in the gemmology laboratory. Clarity relates to the absence of inclusions in a stone. 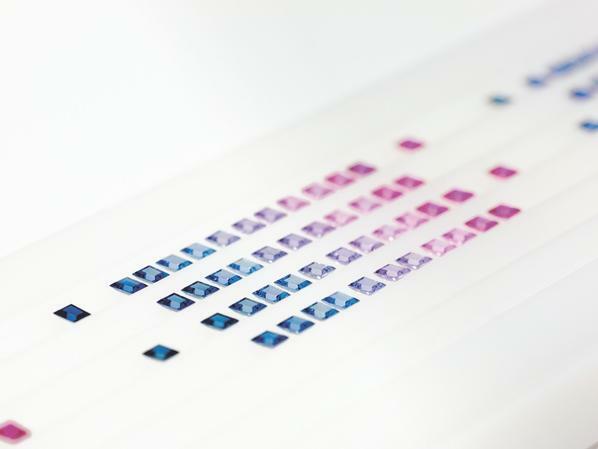 Rolex selects only the most translucent natural gemstones. 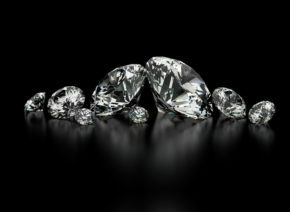 For diamonds, IF (Internally Flawless) stones alone are accepted – those in the highest category of the grading scales generally used in gemmology. Rolex selects only the most translucent natural gemstones. The colour of the diamond is always evaluated by the naked eye, and calls for seasoned judgement. 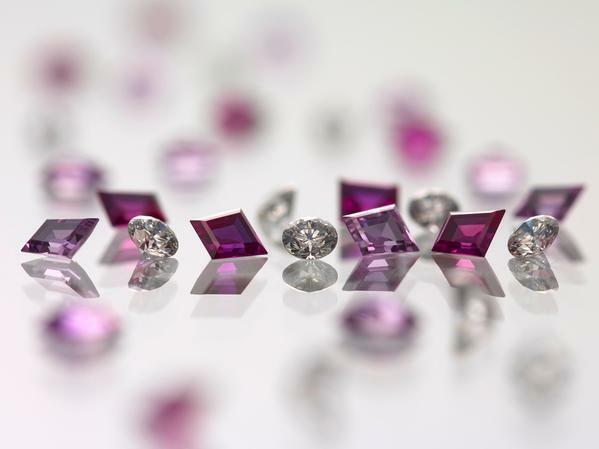 In their assessment, expert gemmologists compare the diamonds against certified master stones. The brand chooses to use only the most colourless diamonds; they must fall within categories D to G – the highest grades on the Gemological Institute of America colour scale. This meticulous and rigorous analysis, carried out according to the brand’s own quality criteria, ensures that all the gemstones on a watch are uniform, and of the very best quality. Once approved by the gemmologists, the precious stones are then entrusted to the gem-setters. 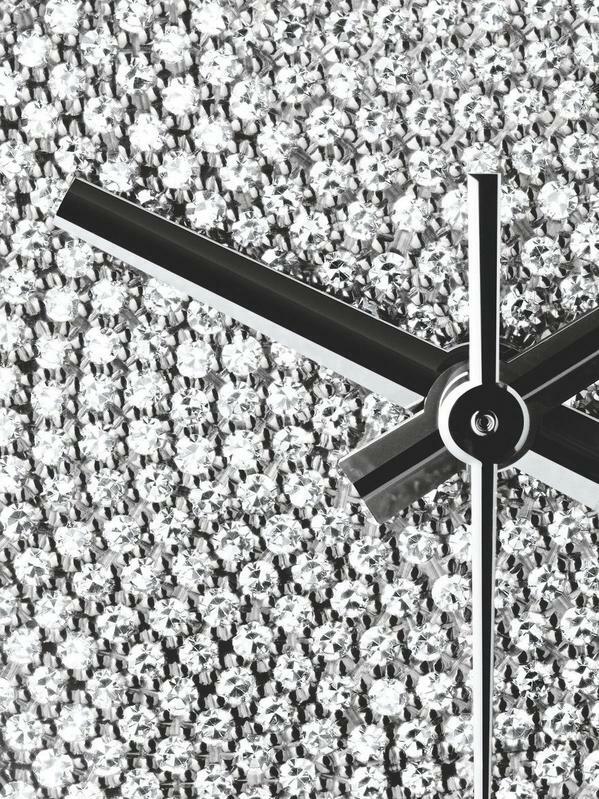 With the precision of a watchmaker, they set each stone, one by one, onto the watches. A gem-setter’s craft is multi faceted. First, decisions are made with designers in the Creation Division about the colours and arrangement of the stones. This is a subtle exercise in finding a balance between aesthetic and technical requirements. Then follows a consultation with the case and bracelet engineers. Together they study the future placement of the stones in order to prepare, to the nearest micron, the gold or platinum into which the stones will be set. For each stone, they determine the precise amount of metal required to hold it in place. Designers and gem-setters work closely together in the subtle exercise of finding a balance between aesthetic and technical requirements. The gem-setter then patiently sets the stones individually to achieve a perfect harmony of colours and reflections, and find the optimal position. Rolex tolerances are to within no more than two hundredths of a millimetre, which is around a quarter of the diameter of a human hair. The surrounding metal is then gently pushed into place around the stones to fix them securely. The skill of the gem-setter is showcased in their ability to choose the appropriate tool, to find the right angle, and to apply the correct amount of force – a step repeated up to almost 3,000 times on certain diamond-paved dials. 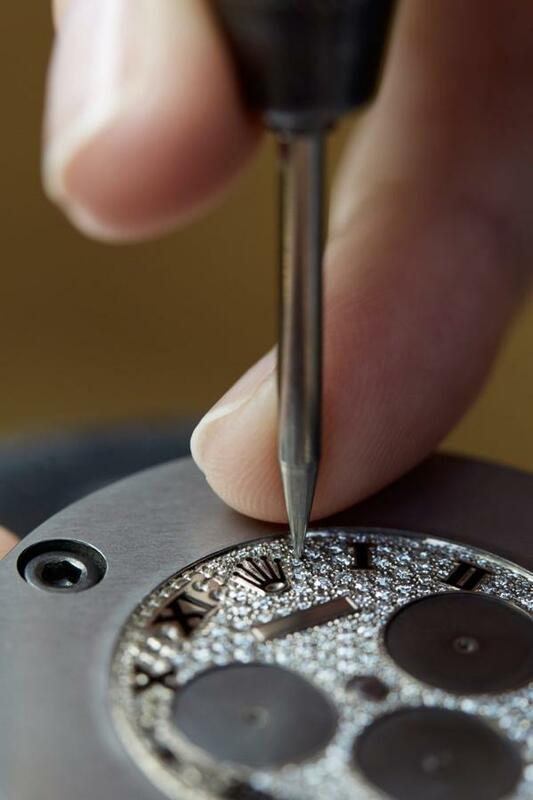 A final polish makes the tiny metal settings shine, intensifying the watch’s splendour. The Art of Gem-Setting lies in revealing the full sparkle and beauty of each stone. Rolex gem-setters use four traditional techniques. The most frequently seen is “bead” setting, which is employed in particular for surfaces that are “paved” – or encrusted with diamonds. Here the stone, which is always round, is held in place by three to five small, bead-shaped pieces of metal. Bead setting is aesthetically similar to “claw” setting, in which the metal prongs are longer, and more of the stone is visible. In a “closed” setting, a metal band encircles the gemstone, holding it in place. 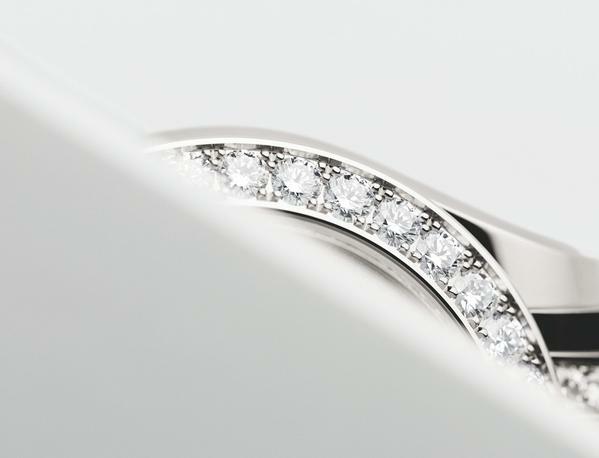 “Channel” setting, also known as “baguette” setting, is most often used with baguette- or trapeze- cut stones, allowing them to be aligned side by side to form a circle, on bezels, for example. Here, the stone is seated in a channel of precious metal, the edges of which are folded over to secure the stone, in a similar way to closed setting. This repertoire of techniques, combined with efforts to source the most impressive stones, illustrates Rolex’s exacting requirements. 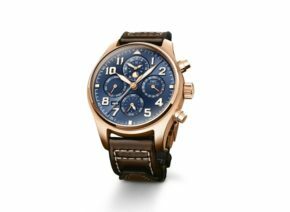 Its gem-setters are among the most skilled in the profession, and the brand equips its teams with the latest technologies, all to create gem-set timepieces that exude excellence. These timepieces, characterised by their distinctive midnight blue dials are dedicated to Antoine de Saint- Exupéry’s “Le Petit Prince”. 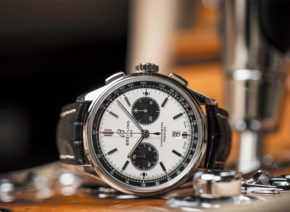 The Breitling Premier collection reintroduces a name that has a special significance for the prestige watch brand. The right cut is essential in order to show off the brilliance of a diamond to its best advantage. It is the cut alone that give it this special radiance. Christmas is almost here. 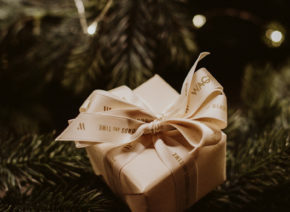 The city is decorated for the festivities, fairy lights sparkle on the buildings, the scent of spices, mulled wine and chestnuts wafts through the air – and the streets are full of people hunting for the right gift.